Behati Prinsloo isn’t one to choose style over comfort. So, as soon as her baby bump started showing, she immediately went out and purchased a pair of maternity jeans. The 26-year-old model, who is expecting her first child with husband Adam Levine, took to Instagram to share the milestone in her pregnancy. “Yup took the plunge. First pair of maternity jeans and it feels so good,” the mom-to-be said. 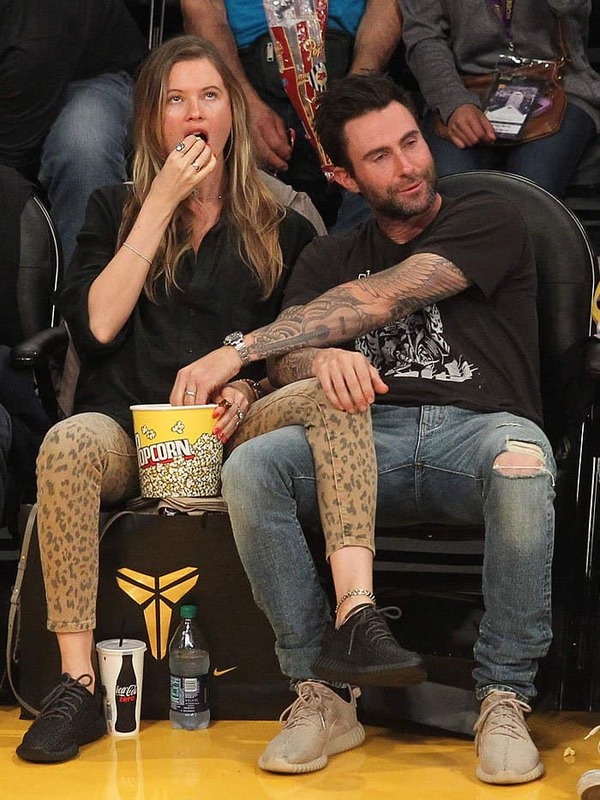 Check out Behati showing off her baby bump in maternity jeans in her Instagram pics below. Not that there’s much of a bump to speak of — we’ve had meals that gave us bigger food babies — but given her supermodel physique, we can safely guess that she’s about five months along. No trying to keep it in or showing off curves even while pregnant like Kim Kardashian for Behati — it’s all about comfort. 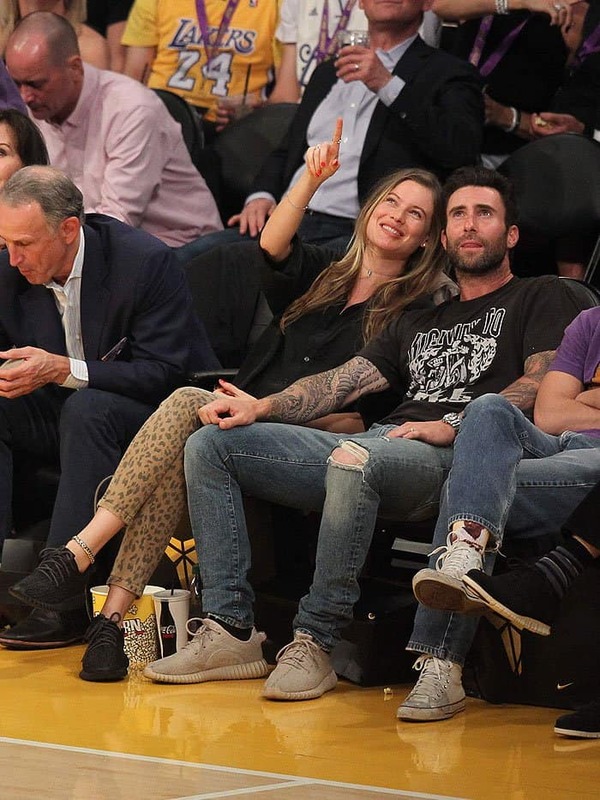 A few days before she made her maternity denim purchase, she was seen at Kobe Bryant’s final NBA game rocking what appeared to be a pair of Current/Elliott “The Stiletto” leopard-print skinny jeans then. Those skinnies — possibly coupled with the popcorn and soda consumption — must’ve made the pregnant Victoria’s Secret Angel so uncomfortable, that she decided then and there that it was time to switch to maternity jeans. Behati has said in the past that she wants “to have 100 kids,” so she can expect to get a lot of use out of her first pair of maternity jeans! Below are three under $90 picks that are just like Mrs. Levine’s. We like how the waistbands are intact and the belly bands are stitched inside on all of them, giving the illusion that they’re just regular pairs of jeans.